Growing up in a small town in the Rocky Mountains of Colorado is where Brooke Whalen learned the power of the outdoors and the magnetic connection of humans to nature. Her everyday adventures in the dirt, trees, and water lead her to Colorado State University where she graduated with a Bachelor of Landscape Architecture. Moving to San Diego shortly thereafter, she has been involved in a wide range of projects focusing on parks, hospitality, health care, and student housing at KTUA. As an Associate Principal, communication with her clients and collaboration with teams is always a priority. She has taken several projects through all phases of design from concept, to construction documents, to overseeing construction in the field. Through design, she always strives to provide places where people can be outdoors and be healthy, places that cultivate community, and places that build memories with families and friends, and once built, this is always the greatest reward. Brooke is a licensed landscape architect in both California and Nevada and is a LEED Green Associate. 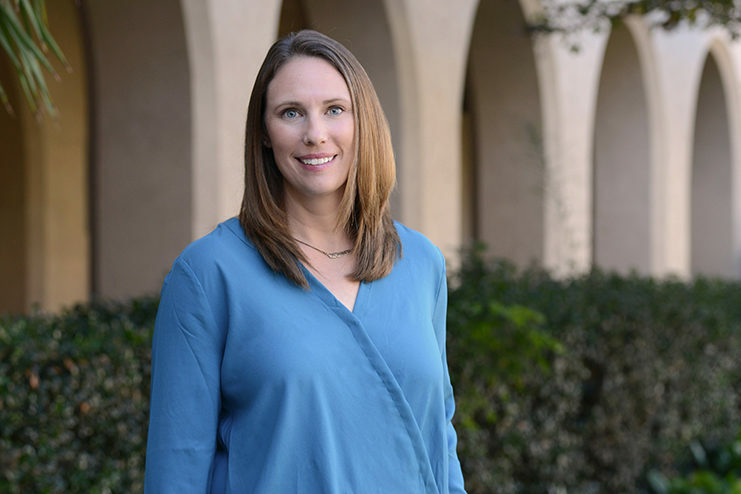 She is very connected to the community where she lives and serves on both the community planning board as well as the committee for the Torrey Highlands Landscape Maintenance Assessment District.